Today I’m welcoming Waheed Rabbani to my series of author interviews. 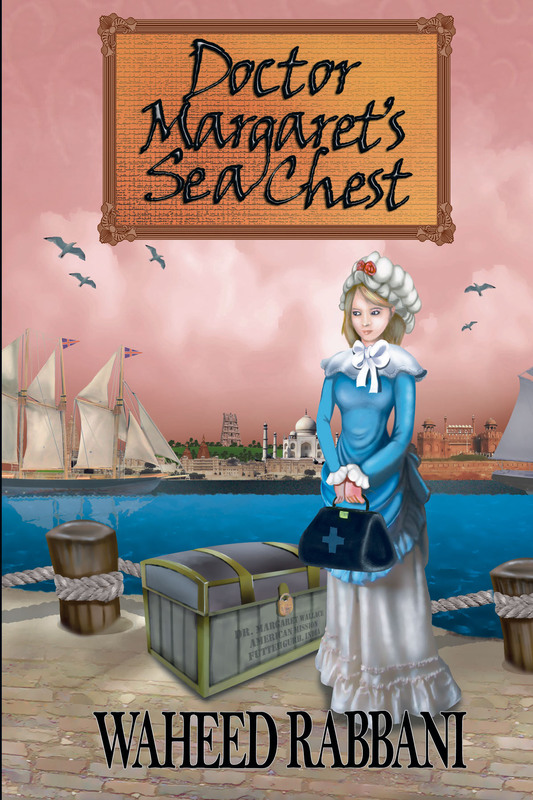 Waheed is the author of Doctor Margaret’s Sea Chest, the first book in a historical fiction trilogy. Elizabeth: Can you tell us a little about Doctor Margaret’s Sea Chest? Waheed: Doctor Margaret’s Sea Chest is Book I of The Azadi Trilogy. This series of historical fiction novels is set during India’s struggle for freedom—Azadi—from the British Raj. The Books weave a tale of international intrigue, conflict, and poignant love between interesting characters of that era. In 1965 an over 100-year-old sea chest, of an American doctor, Margaret, is discovered in the storage room of a hospital in Delhi. 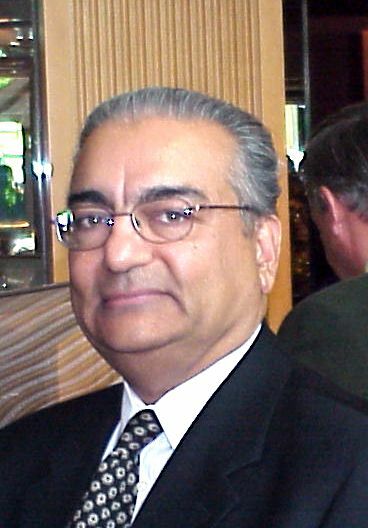 Another American doctor, Sharif, who originally hails from Delhi and is on contract at the hospital, is entrusted with the task of locating the mysterious woman’s relatives and returning her trunk. Margaret, born in New Jersey, achieves her heart’s desire, in 1850, to become one of the first North American women doctors. She marries her Canadian cousin, Robert, and travels with him to serve in the Crimean war of 1854. There, they have to not only face hardships of battles, but also endure other conflicts. The surprise ending of Book I, leaves Margaret in a quandary, whether to seek vengeance or to continue with her journey to India. The novel explores Christian and Missionary norms, and Victorian values. The Underground Railroad and the wars of 1812 and in the Crimea, are covered in a unique way. Elizabeth: Have you already started writing books 2 and 3? Where do you see the story going? Waheed: Yes, Book II: The Rani’s Doctor is nearing completion and would be published early in 2013. It continues with Margaret’s story upon her arrival in India and serving at a military hospital in Delhi and later her appointment as a physician to the Rani of Jhansi. There she is caught up in the 1857 Mutiny/Rebellion. Book III has been plotted. It covers the subsequent period up to 1947 when India finally achieves her independence. It is told through the eyes of Margaret’s descendants. Waheed: These being historical fiction novels, the historical events are all accurate. While in the novel there are some real life personalities, the major characters are fictional, and their story is inter woven with the historical, and fictional, happenings. This enables covering the historical period in a non-intrusive manner, such that readers would find the story not only interesting, but furthering their understanding of the history from a pleasurable reading of the novel. Elizabeth: How do you do your research? Waheed: Fortunately, most of the primary sources (diaries, letters, accounts, etc) written in the early nineteenth century, being out of copyright, with the advent of internet are now available on-line. Hence, I did not have to travel to the central depositories (such as the British Library in London). Although I did travel to India and visited some of the locations I’ve covered in the novel. Waheed: I am a bit of both: a plotter and a “pantster.” While I do outline and timeline the events, invariably, I find the characters take over the acting of the scene. I am happy to let them carry on, even if it means tweaking the plot. It seems to me that this process results in a more natural (if you will) unforced narrative, which I’m sure readers would enjoy more. Waheed: I was born in India, near Delhi, and was introduced to Victorian and other English novels, at a young age, in my father’s library. Most of the large number of volumes, were purchased by my father at ‘garage sales’ held, by departing British civil service officers and their families, in the last days of the British Raj. I graduated from Loughborough University, Leicestershire, England, and received a Master’s degree from Concordia University, Montreal. While an engineer by profession, my other love is reading and writing English literature. I obtained a Certificate in Creative Writing from the McMaster University, Hamilton, Ontario, and with the teachings of all my lecturers there, embarked on this writing journey. My wife Alexandra and I love to travel and have visited India and many other wonderful countries. We are now settled on the shores of Lake Ontario, in the historic town of Grimsby. I’ve also contributed to the following Anthologies: Canadian Voices II, Indian Voices, and In the Wings: Stories of Forgotten Women. More information is available on my website noted below. Elizabeth: Are you a member of any writing and social media groups? Waheed: Yes, I’m a member of a historical fiction on-line critique group, and a local readers’ club. I am also on Facebook, Twitter, Linkedin, and others. I am a member of the Historical Novel Society and am as well on their book review team, helping to review (and post in their magazine) the numerous new books received by them every month. Waheed: Coffee as the ‘eyes opener’ in the mornings. But in the afternoons I yield to tea and with dinner, red wine. Waheed: Both really. During winter holidays on the beaches, and vacations in the summer at cottages in the mountains. Waheed: Both, as per above, depending on where I am. Waheed: I once did sign up, at a local college, for piano lessons, and purchased one too! But, it is more of a novelty piece in our drawing room. Waheed: Mystery, definitely. I suppose I am more of an engineer (left brained) to hardly ever read a fantasy novel. Waheed: Scarlet, absolutely, for her gutsy ways. Loved her saying: “Tomorrow is another day,” (or something like that). Waheed: Love scene, being a romantic at heart! Elizabeth: Waheed, thanks for agreeing to this interview.